Graham attended the University of Ottawa, where he received his Honours Bachelor of Arts degree in History in 1988, and his Bachelor of Laws degree in 1991, both with distinction. Prior to completing his undergraduate work, Graham obtained his Commission as an infantry officer in the Canadian Armed Forces. While at the University of Ottawa, Graham was a member of the men's varsity rowing crew and the Ottawa Rowing Club, and received the award for highest standing in Constitutional Law. He was called to the Bar in 1993, and joined Giffen Lawyers in 1998, where he is a partner. Graham has a broad range of trial experience, and now restricts his practice to civil litigation. He has appeared on matters at all levels of Ontario Courts, and at the Supreme Court of Canada. Graham is certified by the Law Society of Upper Canada as a Specialist in Civil Litigation. His litigation and insurance experience includes automobile, property and casualty, municipal liability, professional liability, medical malpractice, fire loss, occupiers' and employers' liability, and other commercial insurance litigation, including shareholders’ disputes. He has represented companies and private individuals in complex commercial litigation matters. He often represents clients at civil mediations. Graham's current practice is focused on in serious personal injury, fatalities, and large loss cases for municipal defendants. Graham is a member of the Advocates' Society, the American Association for Justice (AAJ), the Waterloo and Ontario Bar Associations, a past member of Canadian Defence Lawyers, as well as a past director of the Ontario Trial Lawyers Association (OTLA). Graham is a trained mediator and taught Canadian Legal Procedure at the Political Science Department at the University of Waterloo for many years as a sessional lecturer. Over the years, Graham has travelled much of the world by motorcycle and has had a special interest in securing compensation for injured motorcyclists. Graham is the proud dad of four children. Graham has a broad range of trial experience, and now restricts his practice to civil litigation. He has appeared on matters at all levels of Ontario Courts, and at the Supreme Court of Canada. Graham is certified by the Law Society of Upper Canada as a Specialist in Civil Litigation. 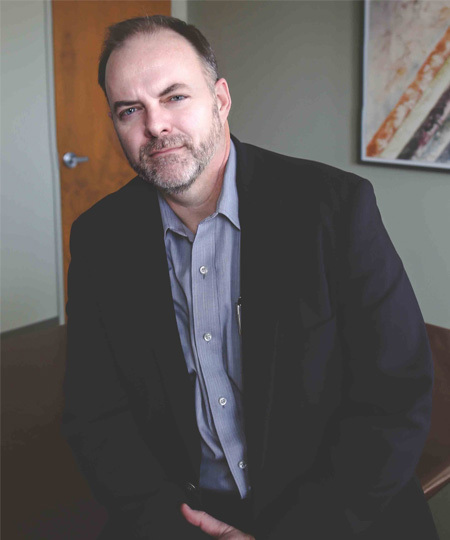 His litigation and insurance experience includes automobile, property and casualty, municipal liability, professional liability, medical malpractice, fire loss, occupiers' and employers' liability, and other commercial insurance litigation, including shareholders’ disputes. He has represented companies and private individuals in complex commercial litigation matters. He often represents clients at civil mediations. Graham's current practice is focused on in serious personal injury, fatalities, and large loss cases for muncipal defendants. Graham is a member of the Advocates' Society, the American Association for Justice (AAJ), the Waterloo and Ontario Bar Associations, a past member of Canadian Defence Lawyers, as well as a past director of the Ontario Trial Lawyers Association (OTLA). Graham is a trained mediator, and taught Canadian Legal Procedure at the Political Science Department at the University of Waterloo for many years as a sessional lecturer. Over the years, Graham has travelled much of the world by motorcycle, and has had a special interest in securing compensation for injured motorcyclists. Graham is the proud dad of four children.